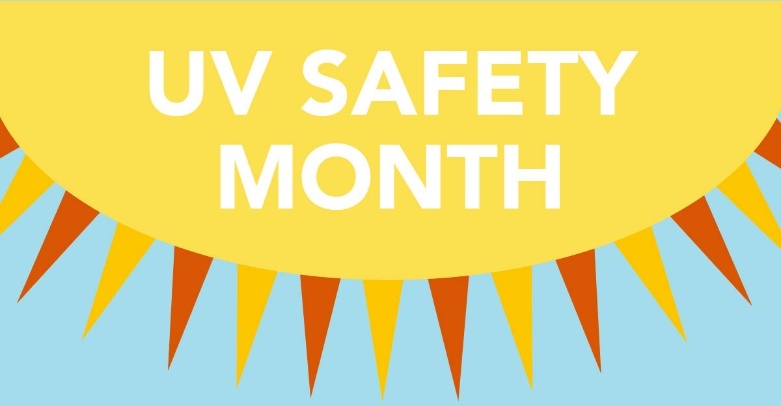 Be Safe in the Sun- July Is National UV Safety Month. Buchanan & Buchanan. The last few weeks have been HOT, HOT, HOT in Michigan. A state surrounded by the Great Lakes provides a unique advantage for residents to be outside and near water to cool down in the sweltering heat. But are you properly protecting yourself from ultraviolet (UV) rays when laying out by the beach? How Do You Protect Yourself from UV Rays? Exposure to UV rays puts you at risk for skin cancer. Sunlight is the main source of UV rays, but you don’t have to avoid it completely to stay safe. The American Cancer Society offers 5 easy ways to protect yourself from UV radiation. 1. Shade. Avoid being in direct sunlight for too long, particularly between the hours of 10 am and 4 pm. 2. Slap on a hat. A hat protects important areas that are often exposed to intense sun, such as eyes, ears, forehead, nose, and scalp. 3. Slide on some sunglasses. UV blocking sunglasses protect the eyes, as well as the delicate skin around the eyes. Check the label before you buy. Labels that say “UV absorption up to 400 nm” or “Meets ANSI UV requirements” mean the glasses block at least 99% of UV rays. 4. Slip on a shirt. Many companies make lightweight clothing that is comfortable and protects again UV exposure. 5. Slop on sunscreen. No sunscreen protects you completely, but it does help block UV rays. It is important to apply it properly and the higher the SPF level, the more protection. What is UV Radiation and How is UV Exposure Linked to Cancer? UV radiation is a form of electromagnetic radiation. Radiation is the sending out of energy from any source. Radiation exists from very high-energy radiation (like x-rays) to very low-energy radiation (like radio waves). UV rays have more energy than visible light, but not as much as x-rays. Most skin cancers are a direct result of exposure to UV rays in sunlight. Basal cell and squamous cell cancers (the most common types) are often found on sun-exposed parts of the body and are related to sun exposure. The risk of melanoma, a more serious, less common type of skin cancer is also related to sun exposure. Knowing your own skin is important to detecting skin cancer early. Be aware of your normal pattern of moles, freckles, and blemishes. Many physicians recommend checking your own skin once a month. If you look at your skin regularly, you know what’s normal for you. Regular skin examinations by your physician are important for people who are at higher risk of skin cancer. Talk to your doctor about how often you should have your skin examined. If you find a suspicious lesion, make an appointment and show your doctor. If your doctor does not take your seriously, be sure to advocate for your health and ask for tests to find out if a lesion is cancer. Missed diagnosis and delayed diagnosis are two of the most common (and often most damaging) types of medical malpractice. Studies find 40% of medical malpractice involves a missed or delay in diagnosis. Testing errors, not ordering correct tests, improperly analyzing tests, incorrectly assessing symptoms, or neglecting to follow up on abnormal test results cause serious injury. Not providing correct medical treatment promptly may be the difference between life or even death with many disorders, including a skin cancer. Time is of the essence. Patients affected by a ticking-time-bomb medical disorder, such as skin cancer are unaware of it because their doctor or medical facility forgot to inform and alert them. If your loved one recently suffered injury or death resulting from a possible missed or delayed diagnosis, you must act quickly. Michigan law does a poor job protecting people injured by medical professionals and any delay seeking legal help can mean losing your rights forever. Contact us or another experienced medical malpractice attorney right away.